Good dental hygiene is imperative in the maintenance of excellent dental health, this is something our practice hygienist Jackie is more than happy to help with. A cleaning with Jackie is a great way to boost your oral health in one visit & can protect you from the development of decay & gum disease & leave your teeth feeling clean & healthy, giving you a rejuvenated smile. This can be a sign that you have or are at risk for gum disease. The main cause of bleeding gums is the build-up of plaque bacteria at the gum line. This will lead to a condition known as gingivitis or inflamed gums. This plaque bacteria in your mouth that causes such inflammation gives off noxious odours causing bad breath. Plaque bacteria that is not removed will eventually harden into tartar. This will lead to increased bleeding, bad breath & a more advanced form of gum disease known as periodontal disease. You can stop gum disease by preventing plaque & tartar from building up on your teeth & gums. 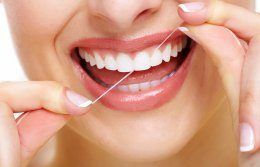 Brushing twice a day & flossing once daily is the best way to help prevent plaque formation therefore preventing gum disease. An antibacterial mouthwash can also protect your teeth & gums against disease. Sugar free gum is also helpful as it stimulates saliva which is naturally cleansing. Our hygienist will advise you on the best oral hygiene regime to suit your personal needs. Fissure Sealants could prevent tooth decay from forming in your own or your children’s teeth. Preventing tooth decay before it appears can mean less pain & less money in the meantime. A sealant is a plastic film-like material that is applied to the chewing surfaces of the back teeth & acts as a barrier to protect the teeth from decay causing bacteria. Sealants can be applied by your dentist or hygienist & the procedure is simple & fast with very little if any, discomfort .First the teeth will be cleaned & thoroughly rinsed. An acid solution or gel will then be applied to the tooth to help the sealant bond with the tooth. The sealant material will then be painted on to the tooth & allowed to dry & harden with the use of a special curing light. It generally takes only a few minutes to seal each tooth. Once applied sealants can last from five to ten years.